Last night we experienced a walk down the red carpet for a movie premiere. 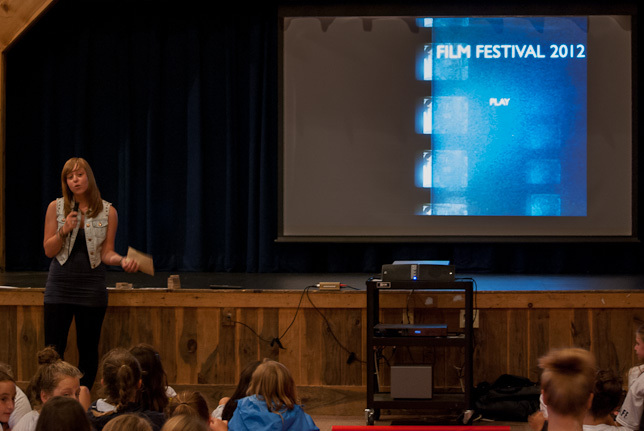 It was film festival night and the movie was made here at Point O’Pines. All of the girls worked so hard together to create a short series, “The Treasure Island Inside Me.” Just seven short weeks ago Group One kicked off the first episode with a girl receiving a letter, and since then another eleven groups have followed the story to create this twelve episode series. At the end, we applauded a great show, and we were so excited as awards were presented to the filmmakers. Through the course of the summer, each camper has played a part in writing, casting, directing and editing their episodes, as well as creating props and sound tracks. We are very proud of all the girls in video this year and look forward to seeing what the next Steven Spielbergs create in the future!